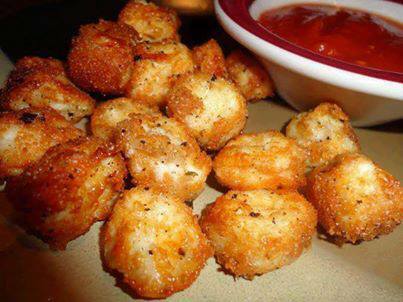 Cut up string cheese, dip in skim milk, then Italian bread crumbs. Bake at 425 for 7-10 minutes. Yummy Dipped in Marinara Sauce!! !